Great frame for the price. Looks as described. Shipped very securely. Couldn’t believe it fit like a glove !!! I will deff order again and again !!!! Bought it for my wife’s anniversary gift. She loves it! Could have been perfect. Blatant imperfection. It is a beautiful frame and goes well with this picture but a (small) part of the frame came unfinished and this was very disappointing considering what I paid. Hi Joshua. Thank you for your review. 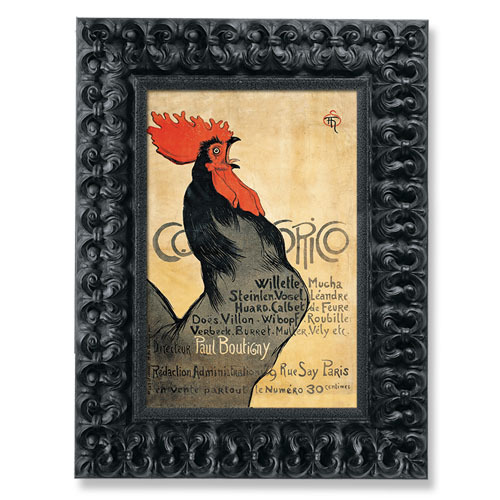 We regret to hear that you were not entirely satisfied with the frame. Our customer care team is always happy to help make things right for you. They are available Monday-Friday 8am-7pm eastern time and can be reached at 1-800-332-8884. We appreciate your business and look forward to better serving you in the future! It fits the period oil painting of a civil war ship and is a wide frame for a very large painting. I have bought several frames from you and am very pleased with your product, packaging and customer service. It has a wavy watery feel to it that matches something in my pic. To protect a valuable letter and envelope. HAS AN ANTIQUE LOOK FOR AN OLDER OIL PAINTING. RIGHT COLOR AND SIZE DEPTH WORKS VERY WELL WITH ART WORK AND DECOR. 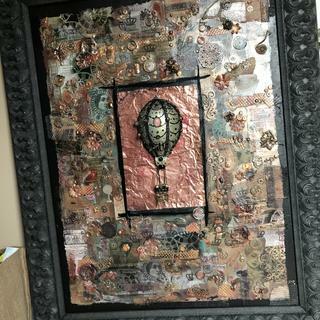 I NEEDED THE EXTRA WIDE FRAME WITH TO COMPLIMENT ART WORK AS WELL. WHICH IS NOT EASY TO FIND. WISHED IT COULD BE SHIPPED UNASEMBLED TO COST SHIPPING COST. 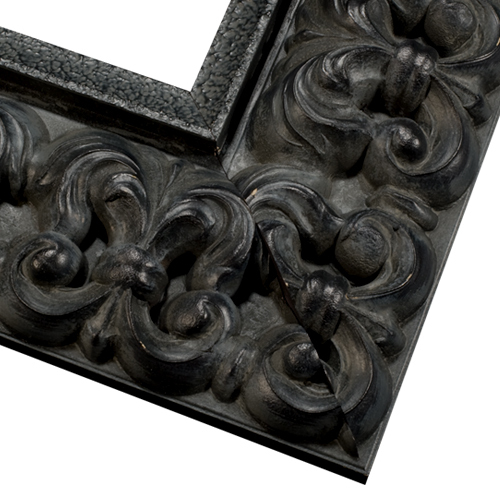 This frame is gorgeous - we love it, our clients love it! It compliments a painting that I have. Is there a method (formula) to determine width? what frame width is appropriate for a 30 x 60 canvas? BEST ANSWER: Hello! For a canvas that is 30"x60" we suggest using a frame width with at least 3". Thank you for your inquiry!